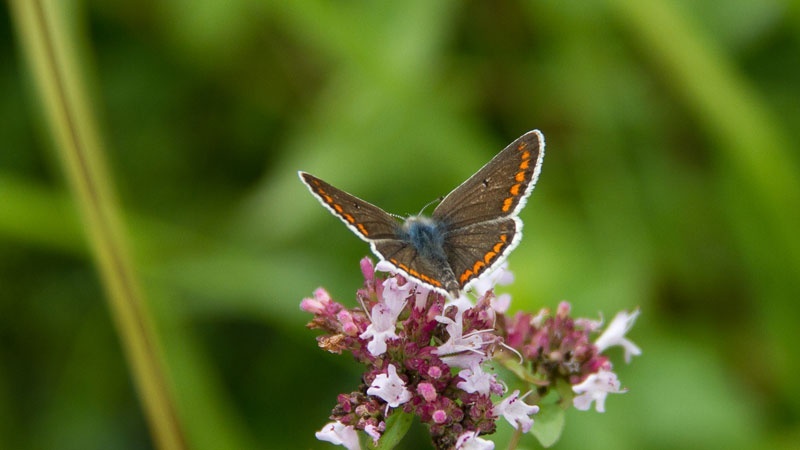 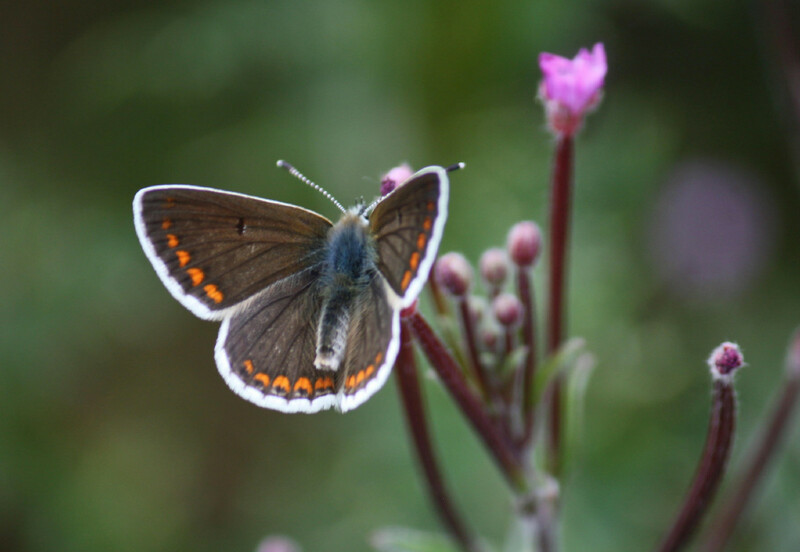 Unlike most other 'blues', the Brown Argus has no blue scales on its upper side, both sexes being primarily brown in colour as its common name suggests, although the butterfly does exhibit a blue sheen when at certain angles to the light. 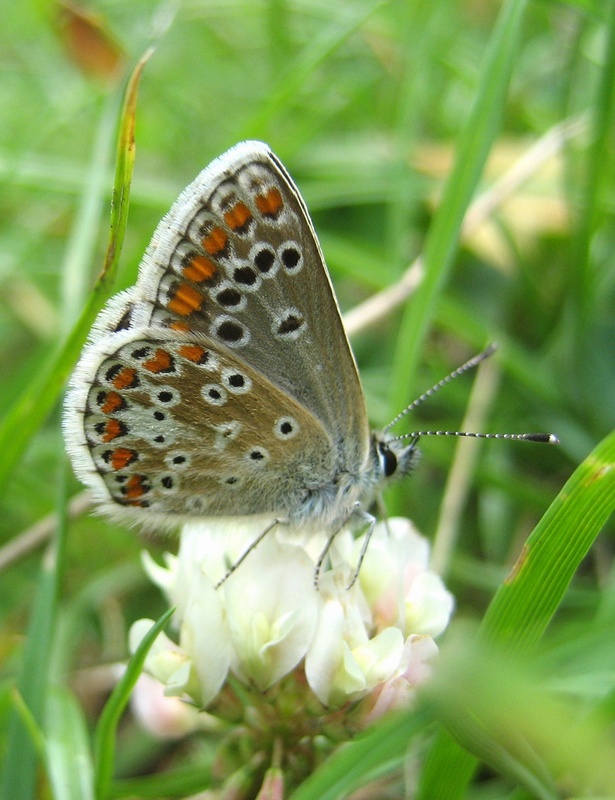 On the underside of the forewing, there are no black spots closer to the base than the central spot (unlike Common Blue). 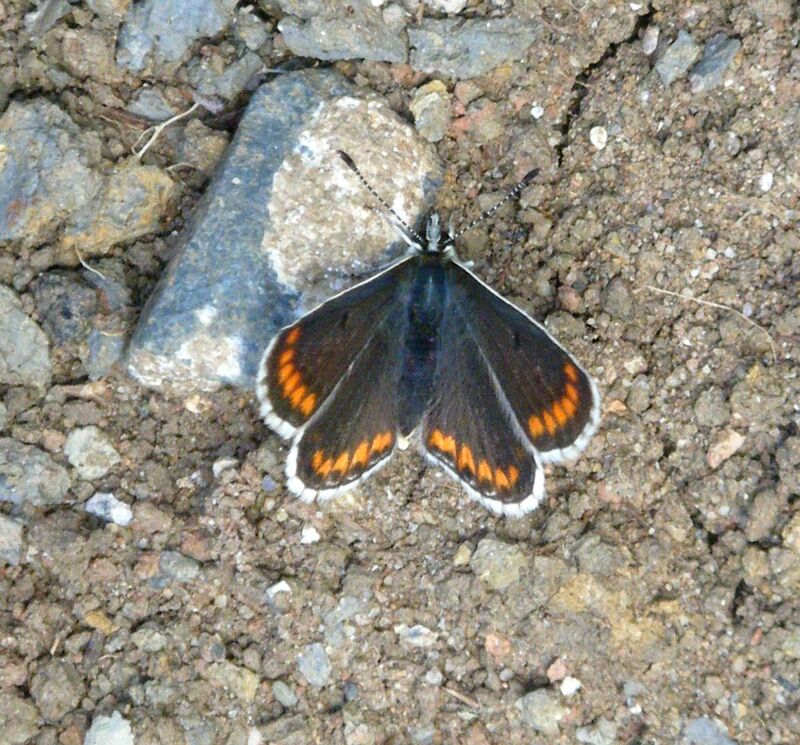 Also, on the underside of the hindwing, the arc of black spots is not smooth, the 2nd spot from the leading edge being closer to the body such that the 1st and 2nd spots look like a colon mark (:). 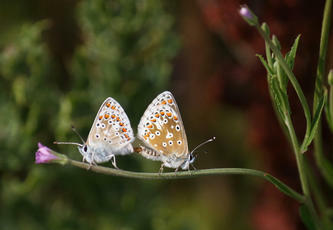 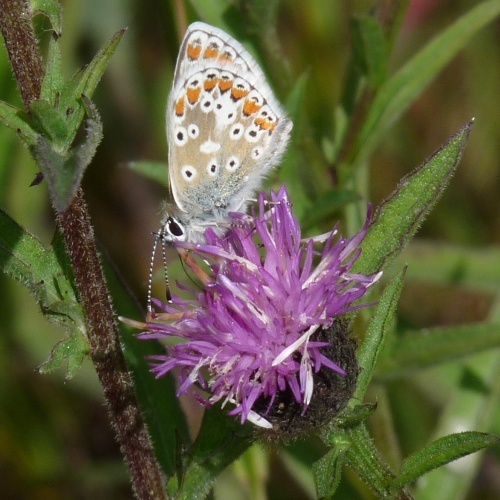 The female Common Blue can be confused with the Brown Argus. 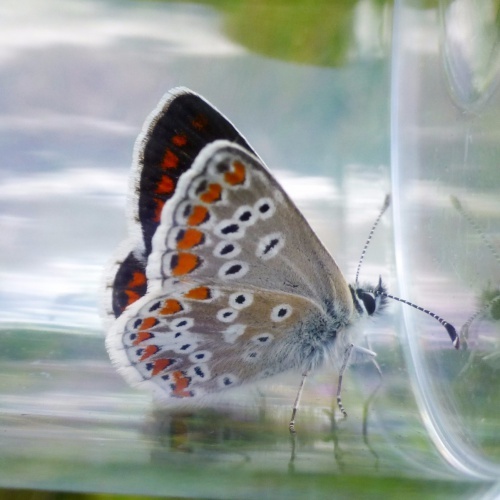 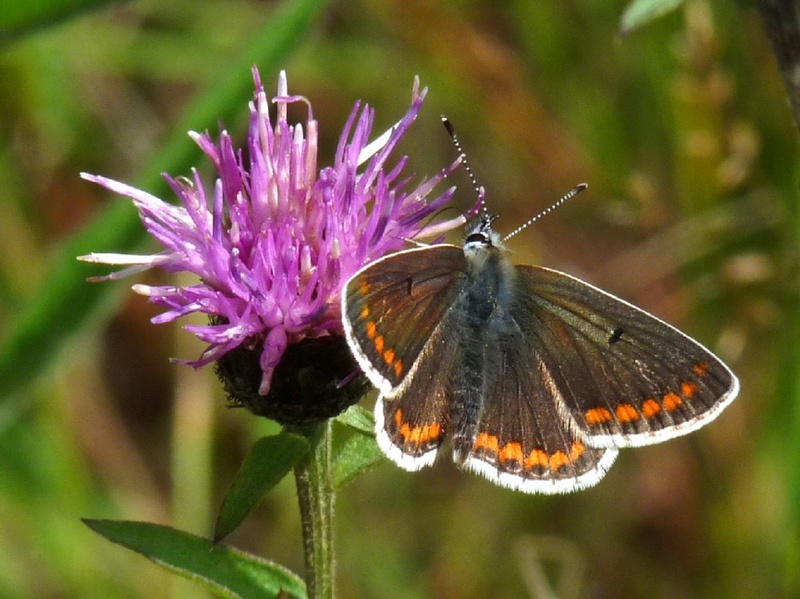 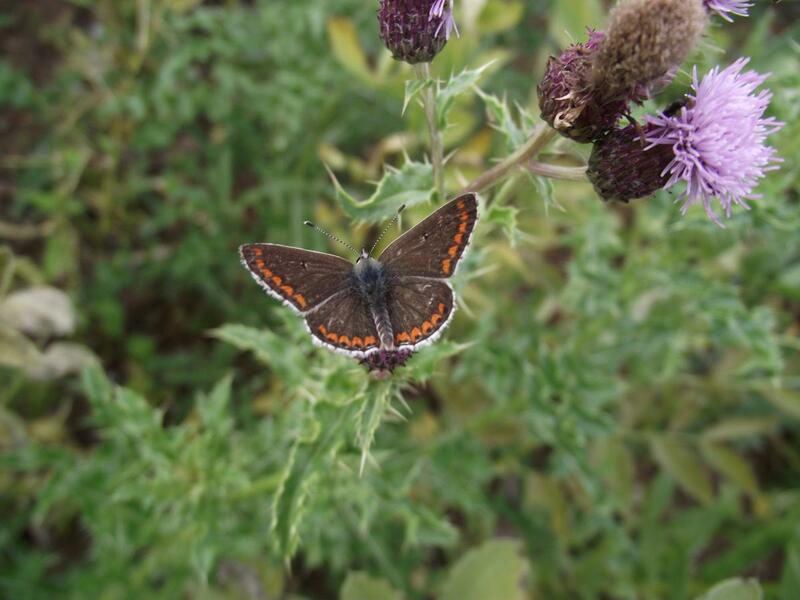 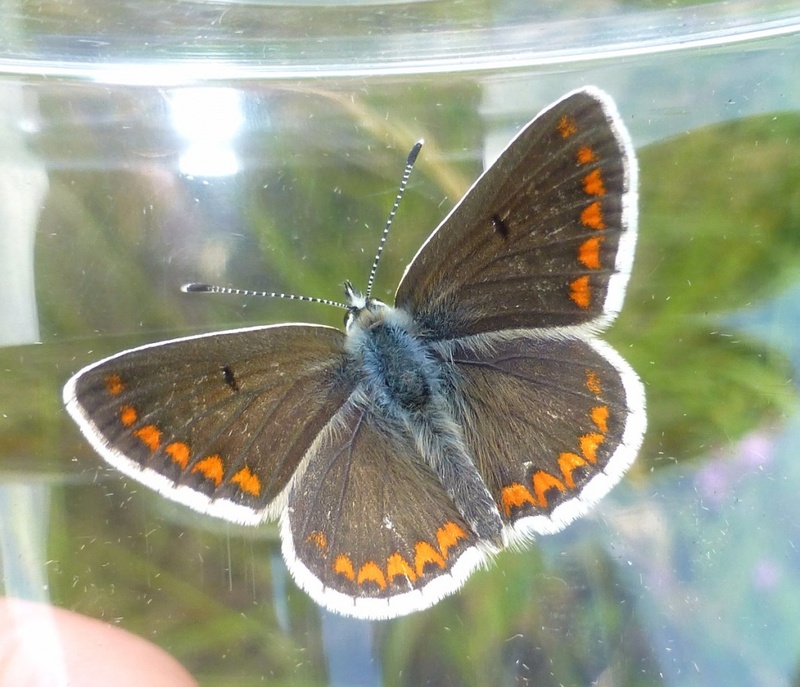 However Brown Argus has no blue on its wings (though may have ahint on the body) and has a border of clear orange spots across both wings (in the female Small Blue these are less promounced or even partly missing). 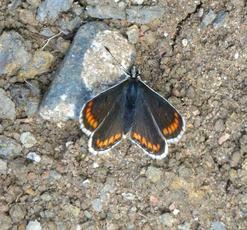 If the underwing is visible they can still be separated by the pattern of spots. 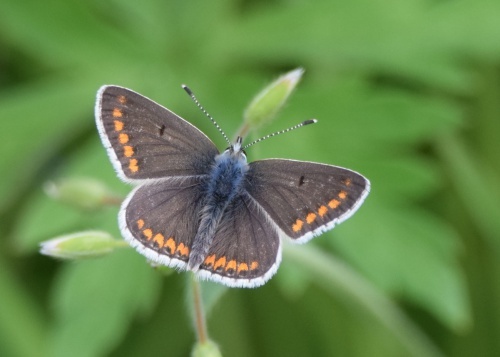 The Brown Argus has two spots on the rear wing that are close together almost forming a figure of 8. These spots are more widely spaced on the Common Blue. Colonies are typically found on chalk or limestone downland where the food plant is abundant. However, this species can also be found on heathland and in open woodland. 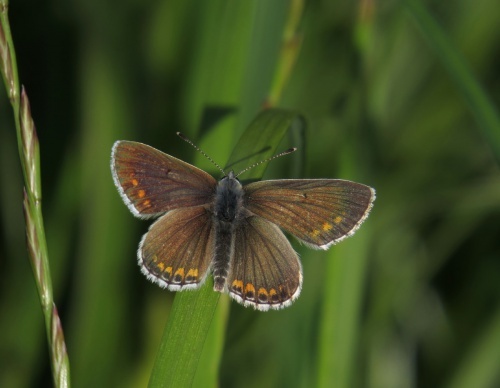 This species generally has two broods a year in central and southern England, with only a partial second brood in North Wales and the north of England. In good years, a partial 3rd generation may appear in the south. The adults emerge first in central and southern England in early May, peaking at the end of May and beginning of June, and giving rise to a second brood that emerges at the end of July. 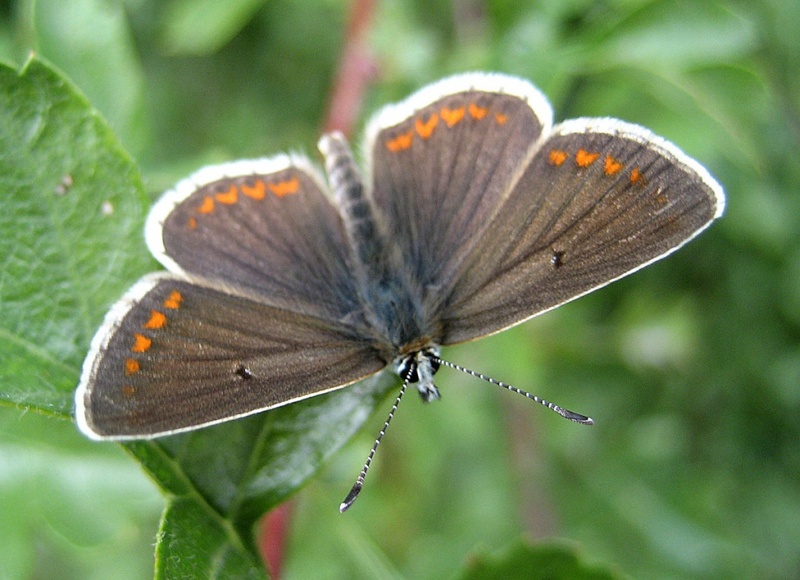 In North Wales and northern England, the first emergence starts in early June with any second brood appearing in early August. This species occurs in small, compact colonies, and is not a great wanderer, only travelling a couple of hundred metres, at most, from where it emerged. The main larval foodplant is Common Rock-rose (Helianthemum nummularium). Common Stork's-bill (Erodium cicutarium) and Dove's-foot Crane's-bill (Geranium molle) are also used. Found mainly in southern England, north eastern England and in some parts of Wales. 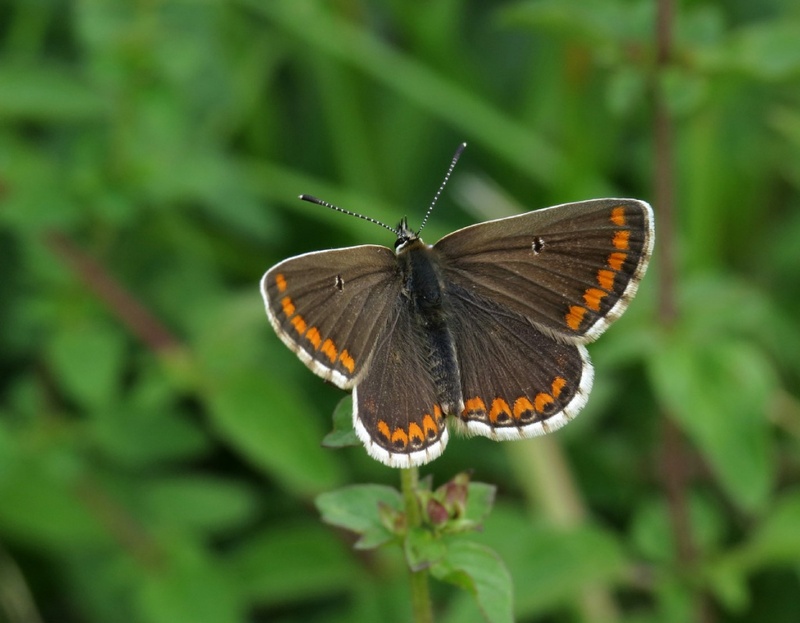 Common in limestone areas of Rutland, uncommon elsewhere in the Leicestershire and Rutland area.